In the communities hit hardest by Tropical Storm Irene, local officials have been putting in long hours to help their towns recover from this disaster. Rochester Representative Sandy Haas, Wilmington Representative Ann Manwaring and Waterbury Representative Rebecca Ellis relate how their towns initially responded to this crisis, what the situation is currently and the biggest challenges they face before winter. Plus, retired Middlebury College Political Science Professor Eric Davis offers his opinions on how Irene has altered Vermont’s political landscape for the 2012 campaign. We look at the power and pitfalls that come with holding a supermajority in the state legislature and hear about the Mental Health Law Project. 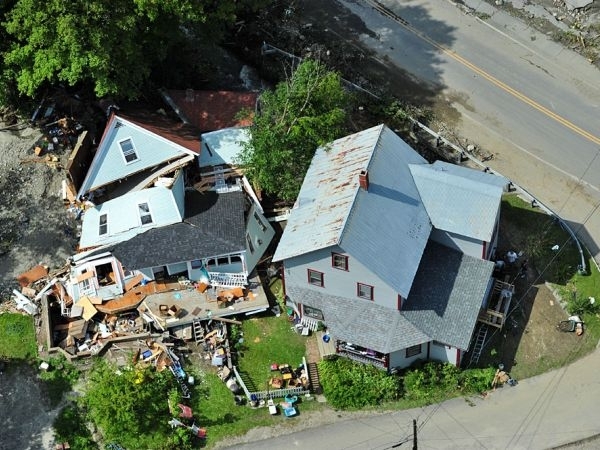 Phil Scott and several state lawmakers look back at the rebuilding projects that have been completed in the wake of Tropical Storm Irene and at the challenges that remain.